Like a warm tropical breeze, comes this eye-catching bouquet of fresh pink roses and orange carnations interspersed with purple flowers. 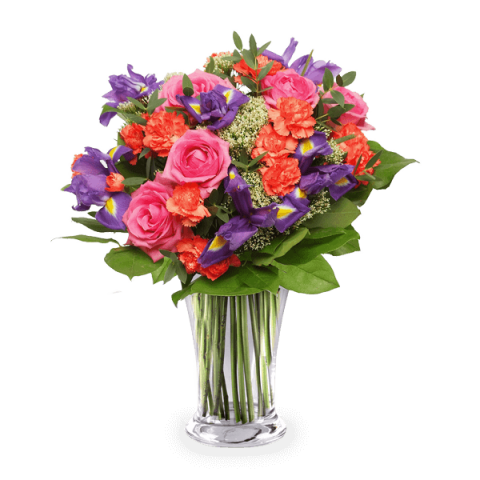 This arrangement is full of vivid colours that will make your special someone as happy as can be on their birthday or when you want to send your congratulations. Truly excellent service.Highly recommended. AAA+++ rating.